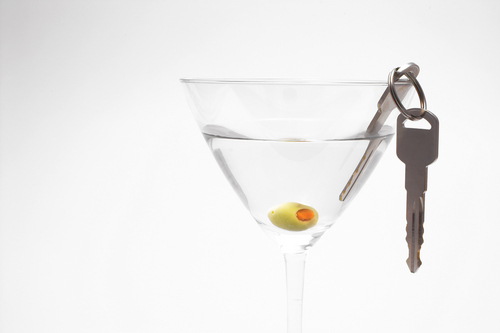 When motorists are arrested for allegedly driving while impaired, DUI charges are typically filed. In the event, however, the blood alcohol content (BAC) was very close 0.08 and no aggravating circumstances are involved, it may be possible to reduce DUI charges in Colorado to wet reckless charges. Below, we’ll reveal some of the most important facts to understand about wet reckless charges in Colorado. Wet reckless charges are most commonly an option in first-time DUI cases – In other words, when drivers do not have any prior wet reckless or DUI charges on their record (and their BAC was just below, at or just above 0.08 and their DUI case didn’t involve a crash/injuries/property damage), it’s far more likely that reducing their DUI charges to wet reckless charges could be an option. Alternately, these reduced charges are usually far less likely to be an option for motorists who have a history of DUI or wet reckless convictions. Wet reckless charges can be the result of plea bargains – And, in these situations, such plea bargains tend to arise when prosecutors have weak cases and little or questionable evidence but they still want to secure a conviction in the case. Wet reckless charges do not result in an automatic driver’s license suspension – However, motorists facing wet reckless charges will still have to request a DMV hearing to try to preserve their driving privileges following their arrest. If they fail to do this (within 7 days of their arrest), their driver’s license can be suspended. The penalties for wet reckless convictions are far more lenient than those for DUI – And this may be one of the more important facts for the accused to understand, as the jail time and fines will generally be far less with wet reckless cases (than with DUI cases). Additionally, while the probation for DUIs can be anywhere from 3 to 5 years (or possibly longer), for wet reckless cases, the probation periods will be far less (usually ranging from 1 to 2 years). Wet reckless priors can enhance sentencing for future DUI cases – And this can mean that, if drivers with a prior wet reckless are charged with a subsequent DUI offense, the subsequent case can be associated with far harsher penalties than a first-time DUI (as the prior wet reckless case will usually be considered to be similar to a prior DUI conviction). If you have been charged with any type of DUI offense in Colorado, you can turn to the Denver & Boulder DUI lawyer at Griffin Law Firm for experienced help and the best possible defense. With nearly 20 years’ experience in the criminal justice system, our attorney understands the complexities of the system, the challenges different defendants can face and the best ways of overcoming these challenges to bring criminal cases to successful resolutions.